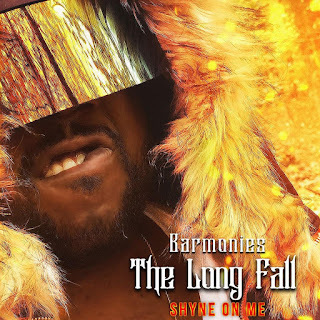 Gospel's unique city soul artist, Shyne On Me returns with a seasonal treat titled, 'Barmonies: The Long Fall'. The Fall- themed project makes a metaphorical twist on the season of "Fall" and our human nature to "fall" to the temptations of sin. Shyne On Me openly confesses his struggles and shortcomings in a versatile display of musical artistry throughout his latest full-length project. With a wide range of musical elements from soul, jazz, gospel, rock, and hip-hop to the native sounds of go-go from his hometown of Washington, D.C., the artist cohesively threads the needle putting together a warm collection of musical nourishment perfect for the cool of the Fall season!